Earlier international links include: Malaysia; China; Syria; Aga Khan University; University of Botswana; University of Dhaka; Russia Teacher Development Project; Sri Lanka Textbooks Project. As the Centre for Applied Linguistics, we were one of a number of UK university departments involved in a Capacity Building Project with the Syrian Ministry of Higher Education and, through it, the four Syrian state universities. The project was established in 2002 through the British Council and covered a number of academic disciplines, the biggest of which is English Language Teacher Education. Three UK HE institutions are involved in the ELTE aspects of the project: the universities of Essex and Warwick and the College of St Mark and St John. A number of Syrian scholars have completed MAs with us and, in some cases, PhDs. 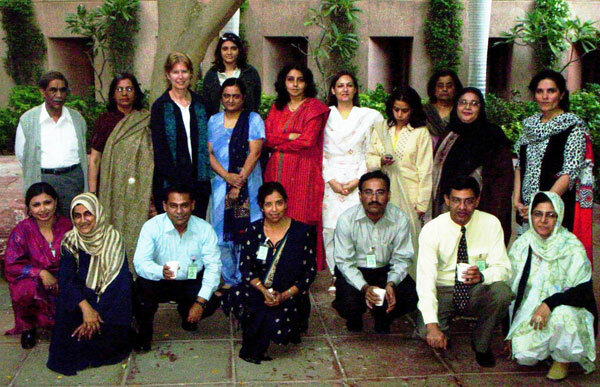 We were involved in a collaborative British Council-sponsored Higher Education Link project with the Centre of English Language at Aga Khan University in Karachi, Pakistan (2004-2007), supporting the establishment there of an Advanced Diploma Programme in Teaching English as a Foreign Language in Higher Education. This has become a fully independent programme for public and private sector teaching professionals. The Centre for Applied Linguistics had long-standing links with Botswana, and the English Department at the University of Botswana in particular, in the 1990s. From 1995-1998 we had a three-year link with the Department of English at the University of Botswana, funded by CICHE (the Council for International Co-operation in Higher Education). The teaching link examined the role of English language and the teaching of academic writing at the University of Botswana. Since the beginning of the link, fundamental changes have been made to the provision of writing instruction at the university. THEKISO Elma, MA 1984; MASENDU Matlhoatsie, MA 1989; MOUMAKWA Tshiamiso Violet, MA 1997; JEREMIAH, Betangpelo, MA 1998; RAMOROKA Boitumelo Tiny, MA 1998; KALANE, Maureen Sindisiwe, MA 1999; GHOBE Cyprian, MA 2000; DINKU Lobone, MA 2001; MALEESI Otlhogile, MA 2001; THEKISO Elma, PhD 2001. The research link culminated in a three-day international conference, attended by approximately 150 participants, on the Role of English in Southern Africa, at the University of Botswana in June 1998. You may see no rivers on the ground, but we keep the rivers inside us. That is why all good things and all good people are called rain. Sometimes we see the rain clouds gather even though no cloud appears in the sky. It's all in the heart. Bessie Head 1984 When Rainclouds Gather. London: Heinemann. We have had long-standing links with Bangladesh, and the Department of English at the University of Dhaka in particular. As the premier institute of learning in Bangladesh, the University of Dhaka was particularly supported in its mission to provide graduates who can spread all over the country to teach English in schools, colleges and other institutes of higher learning. From 1998 to 2000 there was an official three-year link with the English Department at the University of Dhaka, funded under the British Council Higher Education Links Programme. This involved visits by Dhaka faculty to Warwick and vice versa. Workshops facilitated by Centre staff in Dhaka dealt with English for Academic Purposes (Hilary Nesi), Business English (Rod Revell), Language Testing and Assessment (Miyoko Kobayashi) and Learner and Teacher Development (Richard Smith), while - aside from visits to Warwick by senior faculty - several junior members of University of Dhaka English Department staff successfully completed courses of study here, including: Shahnaz Sinha, Rumana Siddiqui, Batool Sarwar and Zerin Alam (all MA); and Rubina Khan and Nevin Farida (both PhD) (Shahnaz, Nevin, Zerin and Rubina are pictured, left to right, in the photograph below). 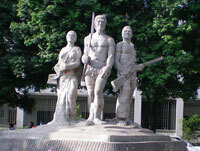 The link was intended overall to (a) assist the faculty of the University of Dhaka as they attempted to redesign the curriculum and prepare material for a radically new four-year BA (Hons) programme specifically designed to improve language skills of incoming students, and (b) train faculty through short-term specialist advanced courses and longer programmes. With the support of the link, fundamental changes were made to the English curriculum at the university, with new courses and associated materials being designed. Collaborative research was also undertaken, and the link received attention internationally. For example, in 2001 Fakrul Alam of the University of Dhaka and Richard Smith from the University of Warwick were invited as featured speakers to give joint presentations about 'sustainable learner and teacher development' at the Japan Association for Language Teaching international conference in Kita-Kyushu, Japan. Between 2001 and 2006 the Centre for Applied Linguistics (formerly, CELTE) was engaged in a number of projects in Russia to facilitate English language teacher development projects with the involvement of the British Council in Moscow. One project involved offering consultancy to facilitate a primary English as a foreign language course book writing project. As part of this project, Annamaria Pinter and Shelagh Rixon in collaboration with colleagues from the College of St Mark and St John in Plymouth participated in workshops run in Moscow for 16 primary English teachers who were writing the course book series. As a result of this project, the new book series called MILLIE is now published and available (publishers: British Council and Bookemead English Language Teaching in cooperation with Titul) and is very popular with teachers all over the Russian Federation. To supplement the book series, CAL also facilitated a primary teacher handbook writing project. A small team of handbook writers from Russia worked with Warwick tutors to plan a handbook in 2004. This bilingual guidebook (English and Russian) is aimed at primary teachers in Russia who wish to refresh their knowledge of both theory and practice in teaching foreign languages to children. 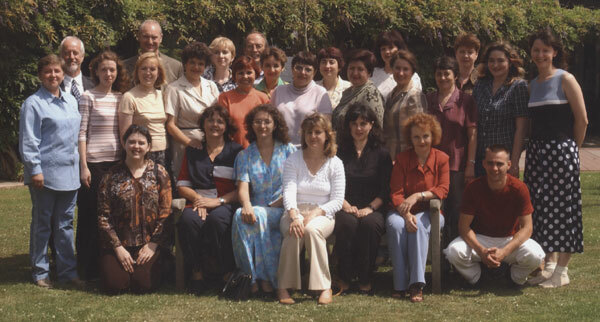 Between 2001 and 2006 we organised and housed short, intensive English teacher development courses for both primary and secondary school Russian teachers and teacher trainers. These courses ran every summer for new and more experienced teachers and trainers involved in the Federation-wide INSETT programme. Warwick tutors acted as advisors with regard to updating and evaluating the ongoing INSETT work in Russia. The Centre of Applied Linguistics (formerly CELTE) has had close links with Sri Lanka since the early 1990s when we designed and moderated examination materials to accompany a national language learning project based on the ‘Follow Me’ television programmes and sponsored by the Ministry of Education of Sri Lanka. A number of Sri Lankan ELT specialists have graduated from the Centre. The Primary English Language Project was run in co-operation between the Sri Lankan Ministry of Education and DfID [the UK Department for International Development] and administered in Sri Lanka by the British Council. The Director of the project was David Hayes. Its original aim was to support primary teacher education in the island, but the scope was expanded to include the production of new teaching materials for primary school English, Grades 3 to 5. Our involvement with PELP continued when in 1999 we were invited to create a 10-week training programme to take place at Warwick for the newly appointed writing team [all practising primary teachers] selected to create the new English course – ‘Let’s Learn English’. The series was published by the Ministry of Education for use in state primary schools all over the island. In connection with the textbook series, CAL staff undertook a number of consultancies and workshops to assist with the writing, editing and revision processes as well as with aspects of the formal evaluation of the series by DfID. She also contributed, in 2000, to a workshop to brief and support writers of a storybook series intended to accompany ‘Let’s Learn English’. For more information on the PELP project, see Making a Difference edited by David Hayes, published by the British Council, Colombo.